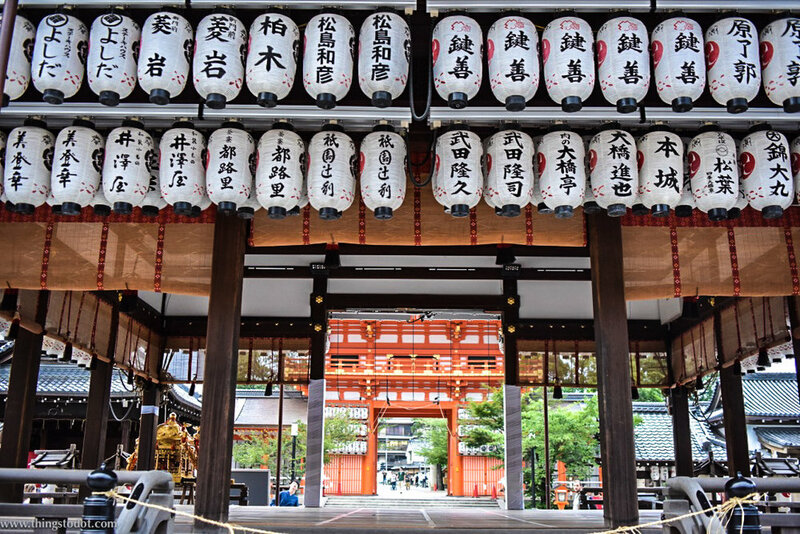 The Yasaka Shrine also hosts one of the most important summer festivals in Japan called the Gion Matsuri, which is held every year in July. People also gather here at the time of the New Year for traditional Japanese New Year celebrations. The shrine has a stage with hundreds of lanterns, each lantern carrying the name of the local business that has made a donation to the temple. 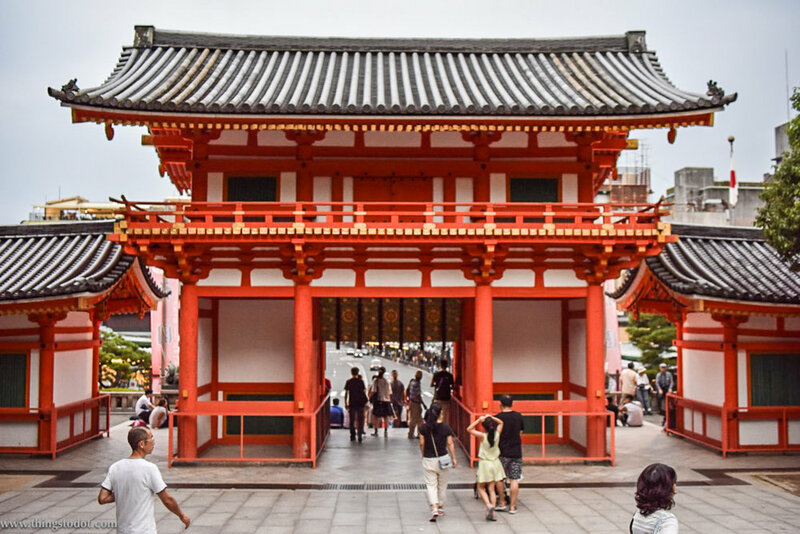 The shrine is located between the Gion District and the Higashiyama District. It can be reached by bus (20 minutes from railway station to Gion bus stop) or metro. The closest train stations are Gion Shijo Station on the Keihan Line and Kawaramachi Station on the Hankyu Line. Alternatively, you can also take a taxi to the shrine. For anybody traveling to Japan, I strongly recommend getting a phone SIM there so you can use google maps. A lot of the Japanese people don't speak English and may not be able to give you directions incase you are lost! I got lost several times! 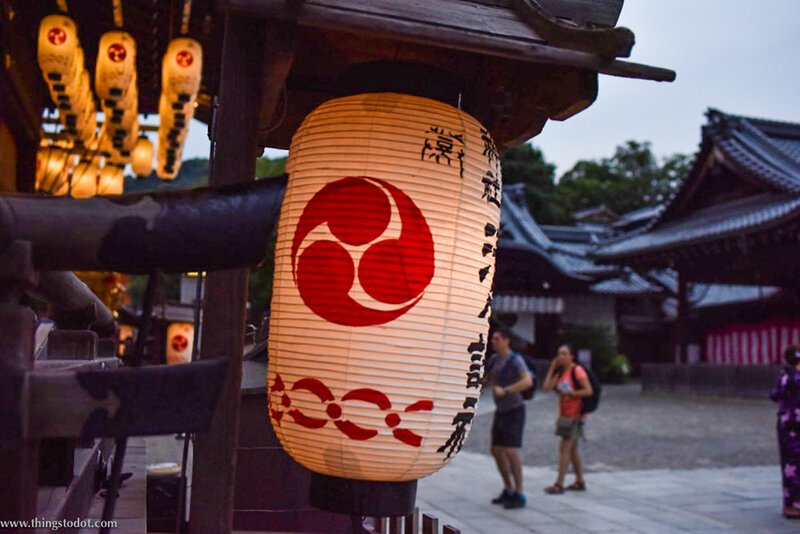 I was traveling solo in Japan and had just arrived and settled in my ryokan (Kyoto Tenseian) when my host informed me that it was the last day of the Gion Matsuri, and that I must see it. Picking up my camera and the map my host had moments before drawn for me, I walked to the shrine and arrived there in about fifteen minutes. The shrine was very crowded with hundreds of people either sitting on the steps of the shrine or standing in the courtyard, waiting for the Gion Matsuri procession. I was lucky to run into another solo traveler like me from the US. 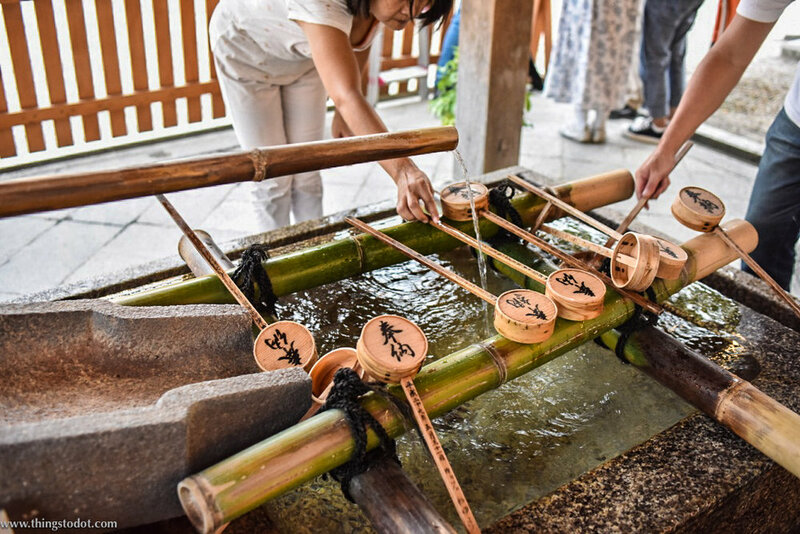 It was her second trip to Kyoto and she familiarized me with some of the customs and traditions at the shrine, like the purification fountain at the entrance where we must wash our hands and rinse our mouths before entering the temple. After spending a couple of hours at the shrine, I took a taxi back to my ryokan.